The Black Hills High School bowling team had such an exceptional week to open 2018 that defeating 3A South Sound Conference champion Shelton in a lopsided victory wasn’t even the top highlight for the squad. That distinction would go to the Wolves’ win over previously unbeaten Jefferson, a 4A program which returned all its top bowlers from a team that finished third at state last year. Black Hills edged the Raiders by 13 pins after senior Elsa Veria-Means came up big in the final frame. Actually, she had to deliver twice as the pin sweeper dropped prior to her ball making contact, forcing her to repeat the roll. Lead by Veria-Means and fellow senior Grace Gibbs, it’s been one triumph after another for the Wolves this season as Black Hills looks to wrap up a 2A Evergreen Conference title before moving on to district play before, hopefully, ending the year with a team appearance at the state tournament. 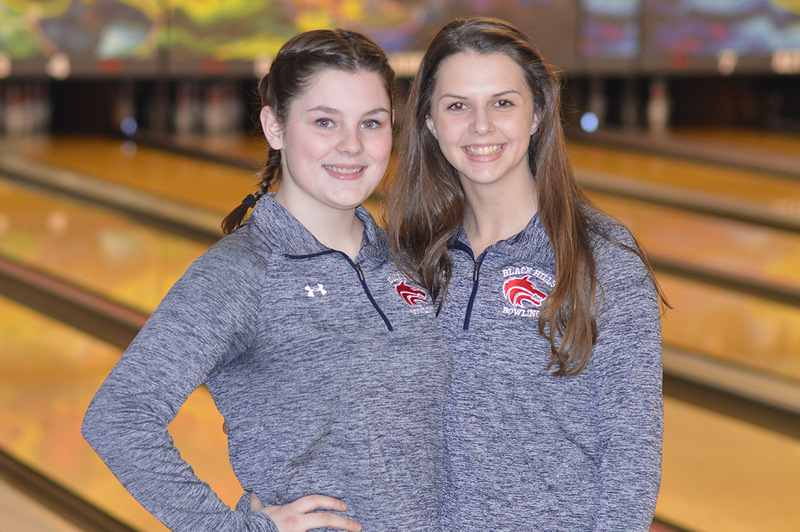 While the Wolves missed out on a team trip to state last season, Veria-Means, whose father, Don Means, serves as the teams head coach, and Gibbs both advanced to state as juniors, finishing sixth and eighth overall, respectively. Both have upped their game this year. Veria-Means paces the team with a 173 league average, including a 258 high game. Gibbs isn’t far behind, posting 168 average with a top game of 218. 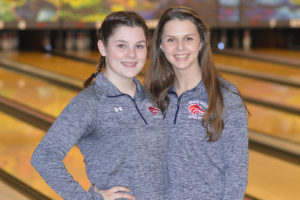 Pushing the duo is junior Mackenzie Theophilus, who is posting a 164 game average, while junior McKenzi Nutter and senior Valerie Noble are both “floating around the 150s” per game average, according to Means. 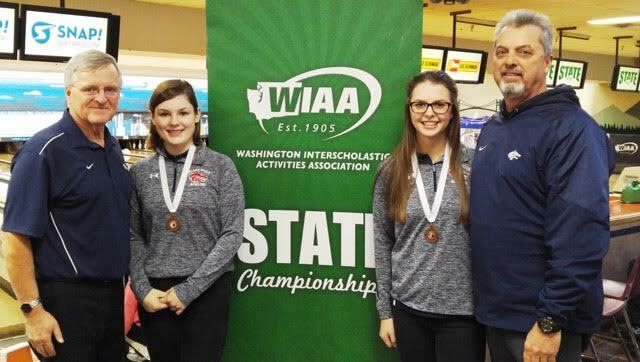 (From left) Coach Creed Clement, Grace Gibbs, Elsa Veria-Means and Don Means proudly display their medals and victory smiles after the 2017 state competition where both girls placed in the top 8. 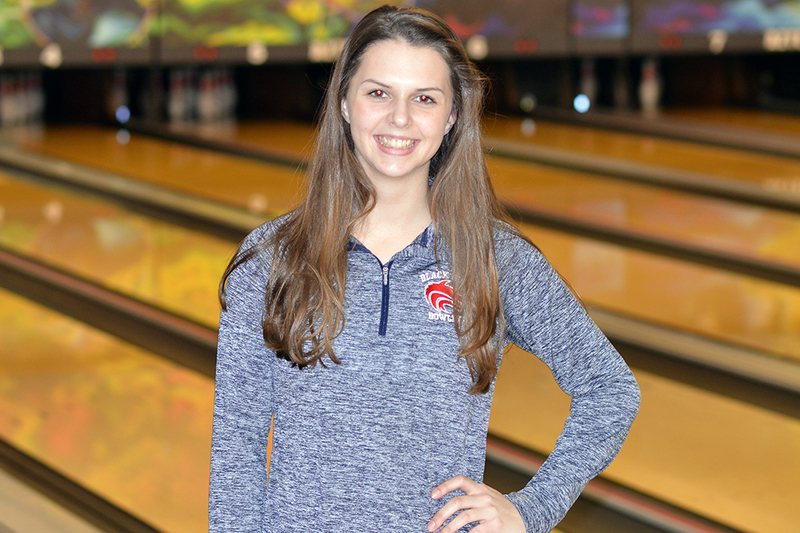 The group has certainly made strides towards doing just that as evident by their combined Baker game total of 245 against North Thurston – a game in which they opened by bowling six consecutive strikes, a first for the team. Remarkably, neither Veria-Means nor Gibbs had any experience with bowling prior to the start of their freshman year. Fastpitch had been their sport of choose prior to arriving at Black Hills. “I didn’t even know Tumwater Lanes existed before a came to Black Hills,” Gibbs, who now works at the bowling alley, said with a chuckle. That changed when former Wolves’ fastpitch coach Nikki Winkley, who also coached Black Hills’ bowling team at the time, suggested the two give bowling a try three years ago. The two use each other as the measuring stick, a friendly rivalry intended to push them to improving. It has proven to be a successful tactic, supported by last year’s strong showing at state – a place Gibbs didn’t think she would even sniff last season. 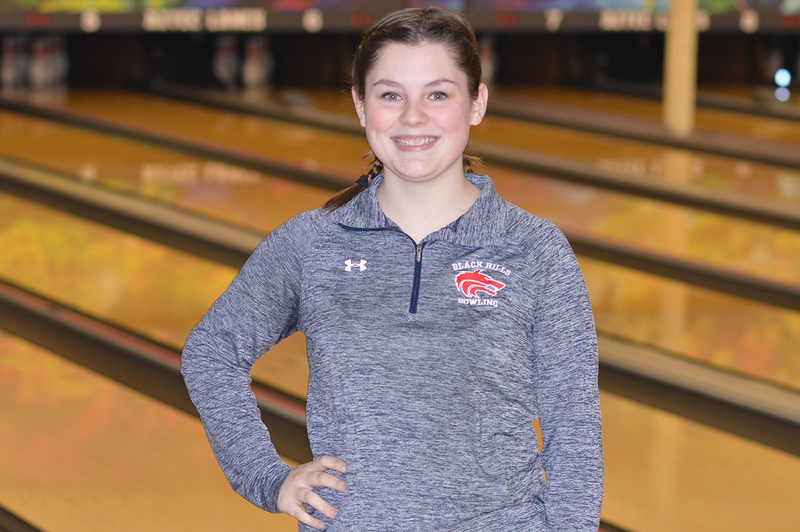 Grace Gibbs is averaging 168 a game this season with a top game of 218. The goal this year is now to have their teammates join them as they look to place at state for the first time since 2012 when the Wolves finished sixth. Black Hills will play at the 2A District Tournament on January 25 at Crosley Lanes in Vancouver. The state tournament will take place at the Narrows Plaza Bowl in University Place February 1-3.